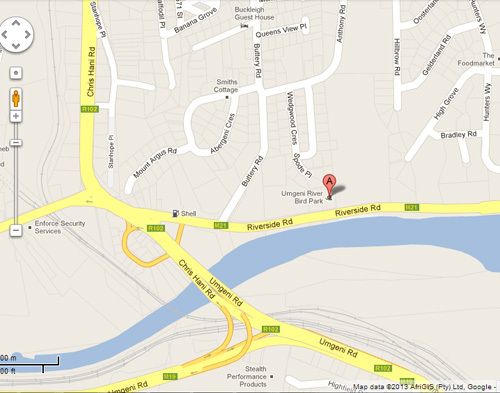 The park is situated at 490 Riverside Road, Durban North on the banks of the Umgeni River. From Durban, head north towards Umhlanga, and you’ll find the park just 10 minutes from the city centre. Follow the signs off the N2 or M4 (Ruth First) Highways.